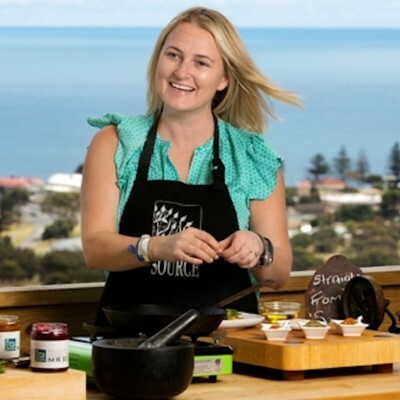 To celebrate the launch of Laucke's Kangaroo Island single-origin flour – local chef, Kate Sumner of Kangaroo Island Source has developed a delicious Gingerbread Pudding. Milled from grain traceable to its Kangaroo Island origins, Laucke’s new Classic and Rising flours, exemplifies the region’s approach to primary produce. Preheat oven to 180oC. Grease six 250ml (1 cup) pudding moulds or oven-proof dishes with melted butter. Line the bases with baking paper. Stir the brown sugar, butter, honey, ginger and mixed spice in a saucepan over low heat until the sugar dissolves. Simmer for 3 – 4 minutes or until smooth and glossy. Cool for 5 minutes. Whisk the milk and egg into the butter mixture until well combined. Combine the bicarbonate of soda and warm water in a small bowl and stir to combine. Stir into the butter mixture. Sift over the flour and stir to combine. Spoon among the moulds. Cover each pudding with a layer of non-stick baking paper, then cover with foil. Place on a baking tray. Bake for 30 – 35 minutes or until a skewer inserted into the centres comes out clean. Set aside in the moulds for 5 minutes to cool before turning onto a plate. Meanwhile, heat the caster sugar in a non-stick frying pan over low heat, shaking the pan often, for 10 minutes or until the sugar dissolves and is dark golden. Set aside for 1 – 2 minutes or until the bubbles subside. Add cream. Stir over low heat for 10 – 12 minutes of until the toffee dissolves and the sauce thickens slightly. Stir in the salt. Drizzle the sauce over the puddings and serve with Kangaroo Island honey ice-cream.